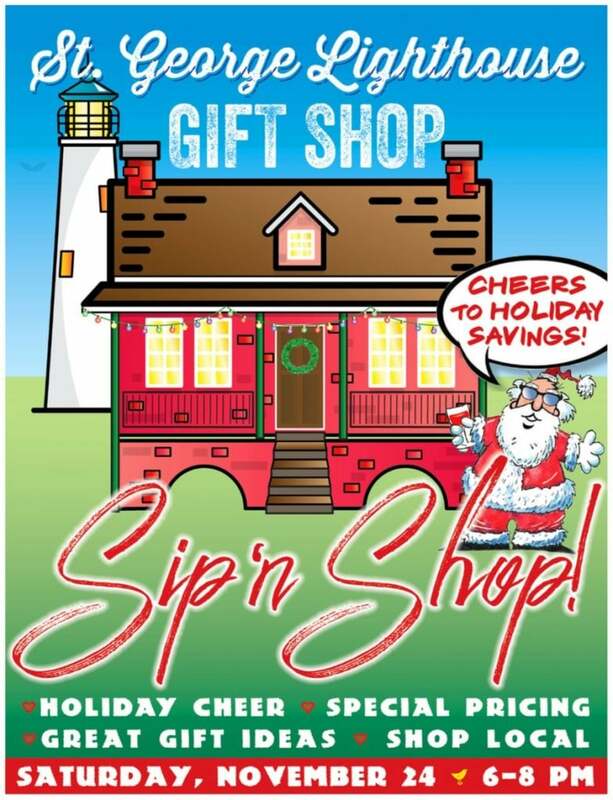 Come by, have a glass of wine and “Shop Small” to get a jump start on your Christmas shopping. The Cape St. George Lighthouse Gift Shop is located in St. George Lighthouse Park at the center of St. George Island, where Island Drive (the road off the bridge) ends at Gulf Beach Drive. Parking is available in lots at either side of the park.